In these lessons, students will examine the key characters in Romeo and Juliet and their dramatic functions. Tasks include: reading the key scenes featuring Friar Laurence, discussing his motivation for helping the lovers; a close analysis of Mercutio's Queen Mab speech from Act 1, Scene 4; and a list of practice exam questions with an emphasis on characterisation. Can I investigate the importance of the Nurse in Romeo and Juliet and support my ideas with evidence? Can I investigate the importance of Friar Laurence in Romeo and Juliet and support my ideas with evidence? Explain to students that over the course of the next few lessons, they will be investigating a number of characters and then writing an essay about one of them. They will be researching, planning and drafting an essay that focuses on one particular extract from the play, but they will be expected to make links to other parts of the play too. They will, therefore, need to consider the character’s importance in the play as a whole, as well as in the extract. Begin this lesson by returning to the Dramatis Personae sheet in the Student Booklet. Ask students to discuss in pairs which characters support or enable the romance between Romeo and Juliet. Students could even rate the characters, i.e. 0 = violently opposed and 5 = strongly supportive. Share findings, aggregate the scores and write on the board the characters who received the highest score and lowest scores from the class. Explain that the parts of Juliet's Nurse and the Franciscan Friar Laurence are two of the biggest parts in the play. We cannot be sure of the Nurse’s name, but 'Angelica' is certainly possible given the reference in Act 4 Scene 4. 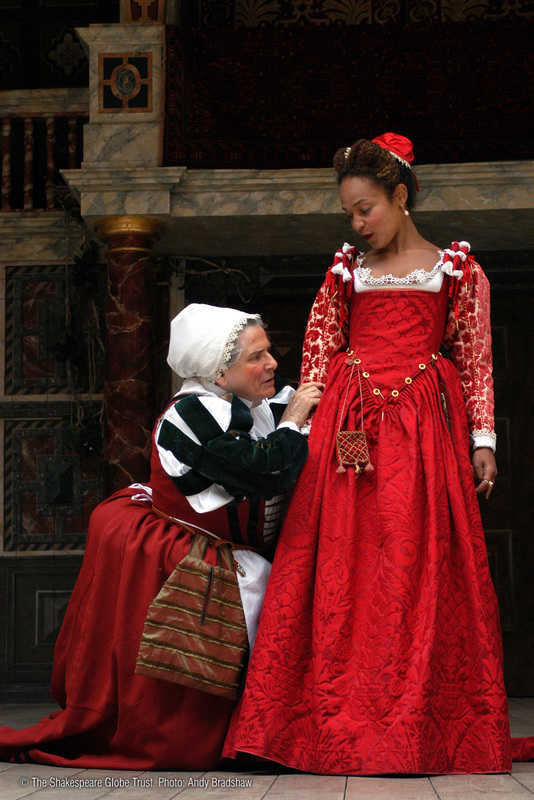 Whereas Romeo has several friendships with other young men in the play, Juliet’s greatest confidante (apart from Romeo) is the Nurse, as she does not have siblings or young female friends in whom she can confide. Ask students to consider the following questions: how does Shakespeare suggest the closeness of their relationship? How would you describe the language they use with each other? How does this contrast with the way Juliet speaks with her parents? Students should then pick out five moments from the play which show an aspect of the relationship between these two characters, and write a short paragraph containing textual evidence for each point. Next, students should look for quotations to support their points. Some key scenes to focus on include Act 2 Scene 3, Act 2 Scene 5, Act 2 Scene 6 and Act 5 Scene 2. 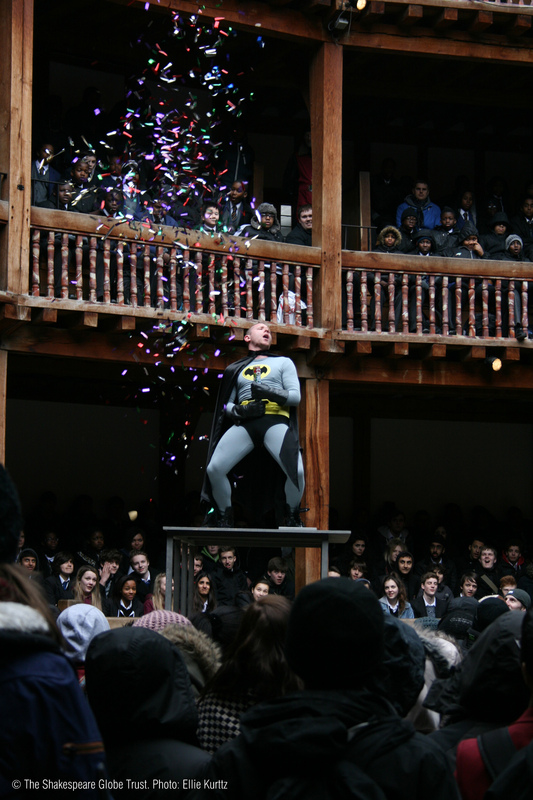 Finally students should search the Adopt An Actor archive, which contains interviews with actors who have played Friar Laurence at the Globe. Using the actors’ perspectives to further expand their notes, students should consider the different possible interpretations of this character on stage. Explain that Shakespeare uses soliloquies for a variety of reasons, e.g. so that deeper themes and ideas of the play can be explored, or so that a new character can ‘introduce’ themselves to the audience. Both of these are true of Friar Laurence’s soliloquy in Act 2 Scene 3. Students should read and analyse the language and ideas of this extract in the Student Booklet. They will then find a list of other soliloquies in the play. Students should consider how these soliloquies contribute to our understanding of the characters who speak them, and of some of the key themes and ideas within the play. What is the importance of the Nurse in the play? What is the importance of Friar Laurence in the play? What do we know about their values and attitudes? What do they represent or symbolise in the play? Should the Nurse and Friar Laurence have supported Romeo and Juliet to the extent that they did? Should they take any of the blame for what eventually happens? Discuss. The American novelist Lois Leveen published a novel called Juliet’s Nurse in 2014, written from the Nurse’s point of view. Leading female roles were played by boys in Shakespeare’s time, but some older female characters – such as the Nurse – would have been played by men. This gave Shakespeare the chance to write for the humorous possibility of a man dressed as a woman, a popular form of comedy to this day! Romeo, Juliet and Friar Laurence all put themselves at risk as a result of marrying secretly, because the marriage was unlawful. Since Romeo and Juliet were both under twenty-one, they needed their parents’ consent to marry. Both the Key Stage 3 and the Key Stage 4 materials for Characters take students through activities relating to each of the key characters in Romeo and Juliet. At the end of this section and throughout the Student Booklet, students will be able to revise what they have learned about the characters and write an essay about one character from the play. Can I investigate the importance of Benvolio in Romeo and Juliet and support my ideas with evidence? Can I investigate the importance of Mercutio in Romeo and Juliet and support my ideas with evidence? Can I reflect on what we learn about Romeo through his relationships with family members, friends and servants? Ask students to draw a spider diagram with Romeo in the middle of it. They should think of all of the characters he knows in the play, and add these to the diagram. What is the nature of each relationship? Ask students to find quotations to reflect this for each character. Discuss with the class the importance of his friendship with Benvolio and Mercutio to him. Students should carry out a focused reading of Act 1 Scene 1, concentrating on Benvolio. Ask students to look for evidence of the various roles that he plays within this opening scene, e.g. member of the Montague family, peacemaker, close companion of Romeo who gives him advice. As an extension activity, look for further evidence in Act 1 Scenes 2 & 4, in Act 2 Scene 4 and in Act 3 Scene 1 to support these points. his death in Act 3 Scene 1 and the consequences of this for Romeo and Tybalt. There is a table in the Student Booklet into which students can enter the quotations they have found for each point. Now model for students a close analysis of Mercutio’s Queen Mab speech from Act 1, Scene 4, lines 53-94. The speech is also included in the Student Booklet. There are a number of discussion points for students to consider at the end of this extract. More independently now, students should look in the Student Booklet where they will find a page of quotations by Mercutio. Students should annotate these quotations, applying their knowledge and understanding of literary features and also of the play’s key themes and motifs. What is the importance of Mercutio in the play? What is the importance of Benvolio in the play? The Globe actress Yolanda Vasquez shares a list of questions she asks when she is rehearsing a play. Students could answer these questions about Benvolio and Mercutio: 1) Who am I? 2) Where am I? 3) When is it? 4) What do I want? 5) Why do I want it? 6) How will I get it? 7) What must I overcome? They should write in modern English in the first person. For the full list of questions, see Lesson 3 of Text in Performance. In order to build a detailed set of notes about the Montague household and Romeo’s other friendships, students could make notes about the scenes in which Romeo’s parents appear and what we learn about them. What happens to Lady Montague and why? Another key figure in Romeo’s world is his manservant Balthasar. Ask students to make notes on Balthasar’s role in the play. Both the Key Stage 3 and the Key Stage 4 materials for Character take students through activities relating to each of the key characters in Romeo and Juliet. At the end of this section and throughout the Student Booklet, students will be able to revise what they have learned about the characters and write an essay about one character from the play. Can I investigate the importance of Tybalt in Romeo and Juliet and support my ideas with evidence? Can I investigate the importance of Paris in Romeo and Juliet and support my ideas with evidence? Can I reflect on what we learn about Juliet through her relationships with others? Ask students to draw a spider diagram with Juliet in the middle of it. They should think of all of the characters she knows in the play, and add these to the diagram. What is the nature of each relationship? Ask students to find quotations to reflect this for each character. Share students’ ideas and quotations relating to the characters of Tybalt and Paris. Also draw attention to the fact that there is no appearance in the play of any young female friends for Juliet, unlike Romeo whose relationships with his friends are very significant in the play. 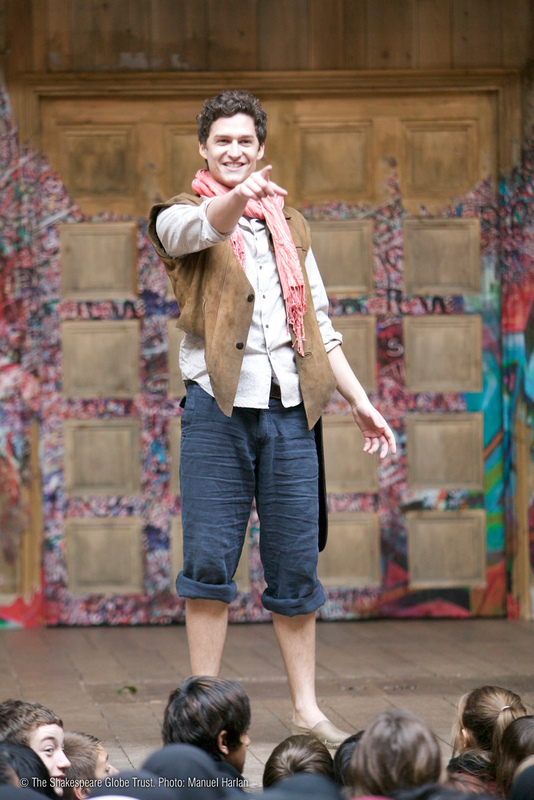 In the Student Booklet, students will find a page of quotations spoken by Tybalt in the play. Students should annotate these quotations, applying their knowledge and understanding of literary features and also of the play’s key themes and motifs. Students could now repeat this activity for Paris. Students should annotate these quotations, applying their knowledge and understanding of literary features and also of the play’s key themes and motifs. when, where and with whom are they speaking? What is the importance of Tybalt in the play? What is the importance of Paris in the play? Students could look at the Rex Gibson quotation in the Asides about Tybalt. Students should consider how they would like to portray this character on stage and why. Ask students to pick out two quotations from the play spoken by Tybalt; they should then give advice to an actor about how these lines could be spoken and performed. This activity could also be repeated for other characters. Students could look at the pictures of Tybalt and Paris in the Student Booklet, and think of quotations that they think the character might be saying at that point. Encourage students to justify their answers. There are further activities about Tybalt in the Key Stage 3 materials under Text in Performance. Students should record this character passport in the Student Booklet and add brief quotations to support key points. This can be repeated for other characters on additional copies of the ‘Character Passport’ page and then inserted into the Student Booklet. Discuss Shakespeare’s presentation of the character of Lord Capulet with reference to three scenes from the play. How does either Romeo or Juliet change throughout the play and why? How does Shakespeare show us these changes? What is the dramatic function of Friar Laurence in Romeo and Juliet? For a particularly collaborative approach to revision, students could work in groups on a particular character, and photocopies could be made of their finished poster for distribution to the whole class. For more detailed guidance on planning, drafting and language analysis, look under Language and at the linked materials in the Student Booklet.